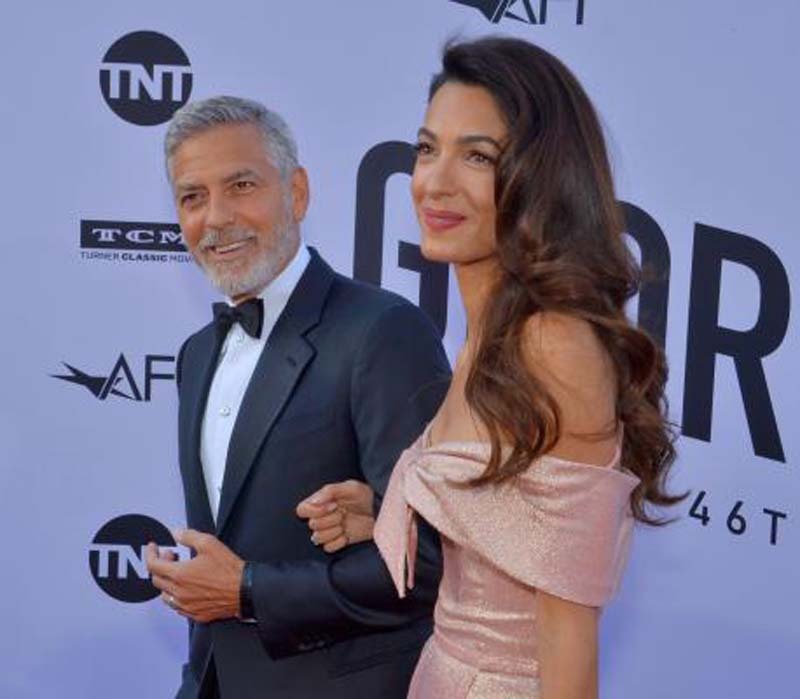 At the 57-year-old actor-director's side was his styish wife, human rights attorney Amal Clooney. Also spotted on the red carpet going into the event were Clooney's pals Jennifer Aniston, Courteney Cox, Cindy Crawford and Rande Gerber, as well as the actor's former co-stars Julianna Margulies, Don Cheadle and Anna Kendrick; writer-producer Norman Lear and comedy icon Bill Murray. Julia Roberts presented the AFI Award to Clooney, an actor with whom she shared the screen in Ocean's 11, Ocean's 12 and Money Monster. The ceremony is scheduled to air on TNT June 21. Clooney's other movies include Suburbicon, Gravity, The Descendants, Syriana, Michael Clayton, Up in the Air, Good Night, and Good Luck, O Brother, Where Art Thou?, Batman and Robin, and One Fine Day. He also was a cast member of the television medical drama ER.